Your local source for everything horse! We are a family owned and operated company that specializes in Western and English horse tack, boots, fashion and riding apparel, and a large selection of trendy and unique products that appeal to horse lovers, farm life fans and western enthusiasts alike! We originally started our business by selling at local shows in between classes while showing our own horses. In 2005 we opened our retail location in the Mariner Mall in Superior, WI. Since then we have added many more services and features to our store including custom embroidery, leather repair, hat shaping, and our own brand of apparel. 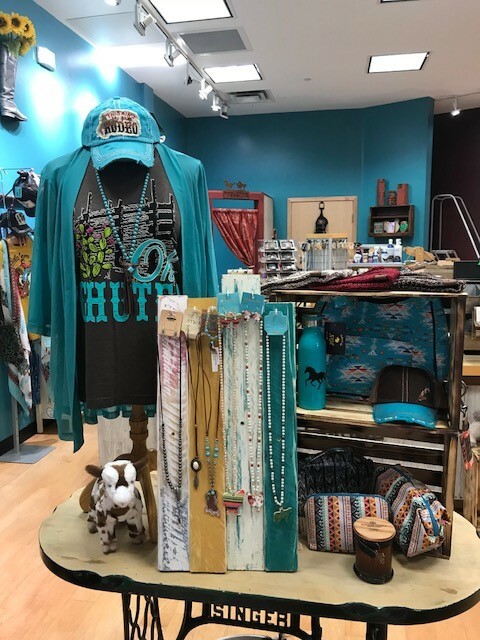 In 2018 we rebranded our retail store as Beyond the Barn and currently occupy two stores in the Miller Hill Mall in Duluth, MN. We will be expanding into a larger space in the Miller Hill Mall in summer of 2019. Our products are carefully selected and reviewed by us and our staff. We make sure to try products we stock so we can give you honest advice and the best customer service. Besides serving our local horse community we ship all over the world. We hope you take a moment to browse our site and if you happen to be in the area stop on by! Mon-Fri: 10:00 a.m. to 6:00 p.m.